Length: 6 hrs. 42 min. In the heart of every person lies an inconsolable longing. Men often know it as the hunger for adventure. Women tend to feel it as a thirst for intimacy. This longing is the secret of our lives. It tells us who we are, what our life was meant to be. If you have ever felt those deep yearnings, we have some really good news: this is what the Gospel truly offers. Life is more than chores and Christianity is more than duty. 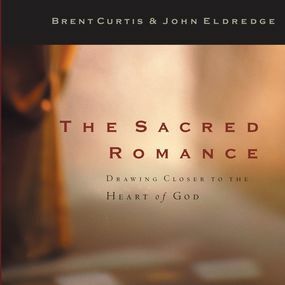 It is a Sacred Romance -a great love story set in the midst of a life and death battle.